Stephen Walsh was a solicitor for 14 years until 2007 when he came to the bar. 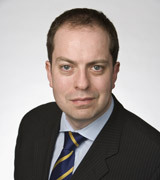 He practices mainly in insurance and commercial litigation. For his full details please click on the following link.